Of Triton picks up right after the massive cliffhanger that we were left with in Of Poseidon. I really enjoyed reading Of Poseidon last year, so of course I couldn’t wait to get my hands on Of Triton to see what was going on with my favorite characters from the book. The book definitely did not disappoint! Just like the first book, I absolutely love the main character, Emma. She is funny and smart, and strong willed as well. The relationship between Emma and Galen is absolutely adorable. While there was some strain on the relationship this time around, you could tell that Emma and Galen really cared for each other, even more than anything else. I love that about them. We get to see a lot of the characters from the first book in this story again as well. Rayna and Toraf are still along for the ride, but they aren’t butting heads quite as much as in the previous book. We get a lot more information on Emma’s mom, which was really insightful, because I found her to be really mysterious in the previous book. We also get to meet Galen’s brother, Grom. I didn’t think I would, but I really liked Grom. Getting to see part of his world was really interesting. The story is told through both Emma and Galen’s point of view. I enjoyed reading the story from both of their perspectives. I definitely feel like I got more information this way. 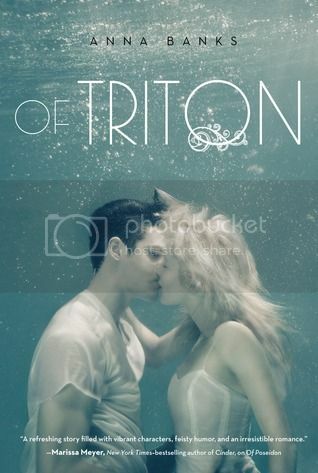 The storyline for the novel was very well written, and I enjoyed reading about the underwater world, where a good chunk of the story took place. The ending of the book is not a cliffhanger like in the previous book, but it is a little bittersweet. There is one thing in particular that happens towards the end of the book that is really sad. Overall, I really enjoyed this book. I enjoy the whole series, so far! 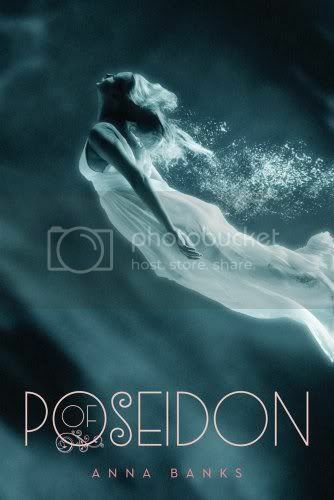 I can’t wait to get my hands on the 3rd book in the series, of Neptune, due in 2014! Gah to the cliffhanger in the first book but yay for no biggie in the second. I'd rather have bittersweet than a massive cliffie. And yay to no middle book slump. This was an amazing book! I absolutely loved it! This is the first book (in my whole life) that I read in one day!